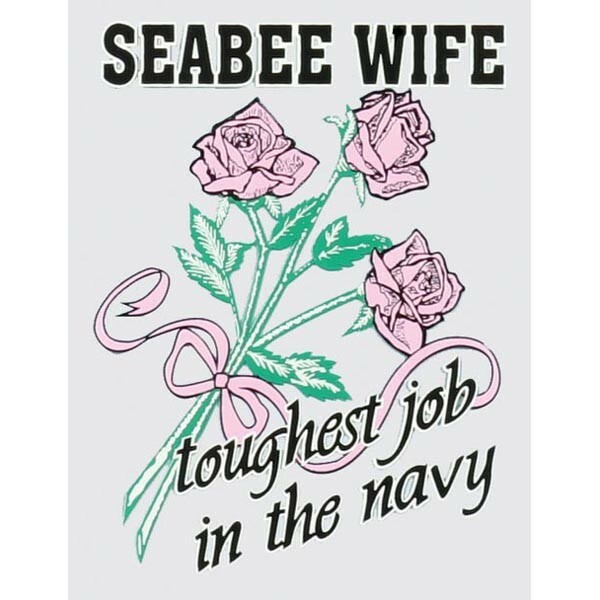 Seabee Wife Toughest Job in the Navy Decal with Pink Roses 4 x 3 inch. Adhesive-back, outside window application. Made in USA.